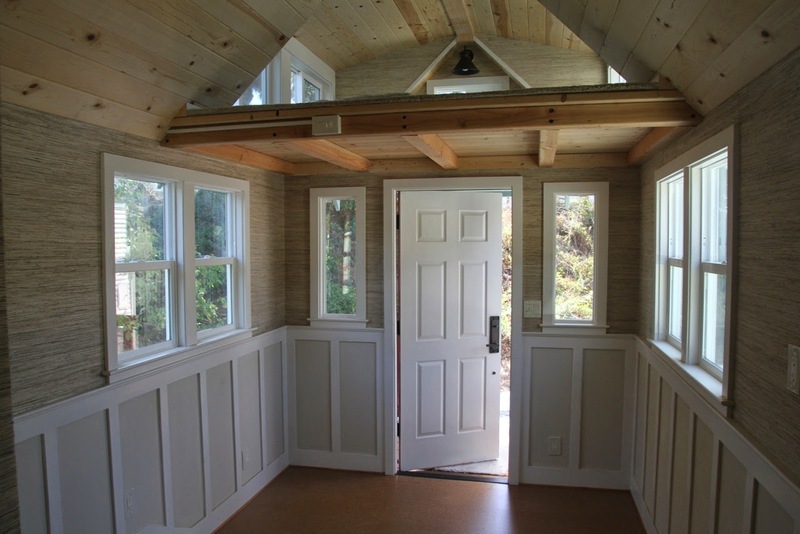 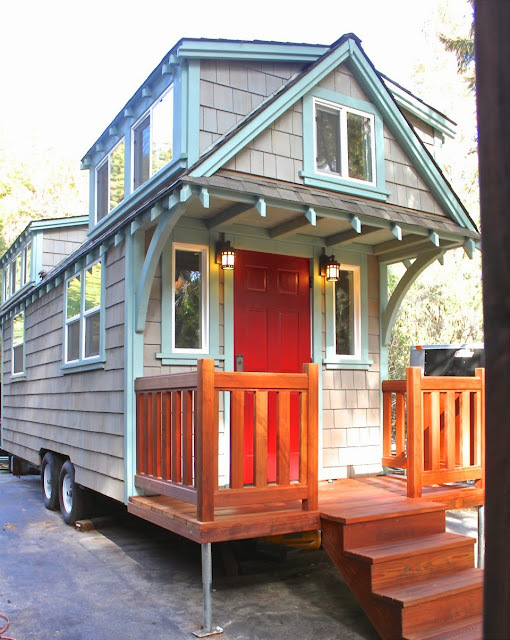 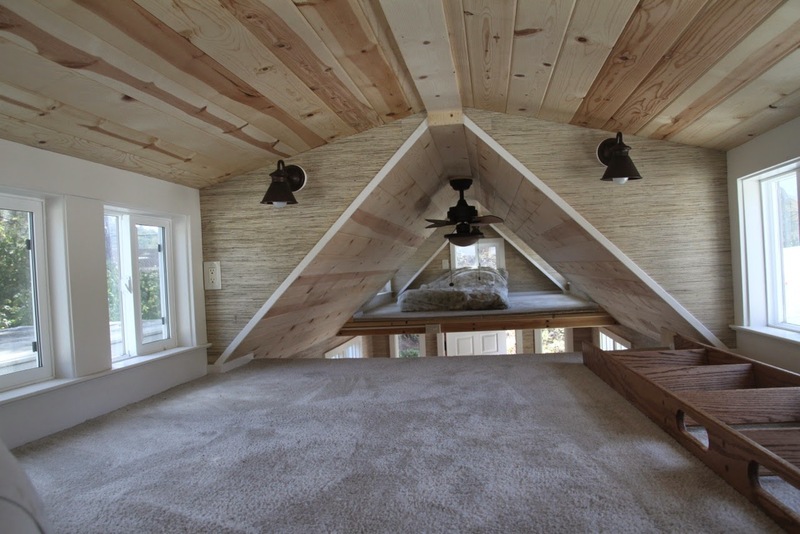 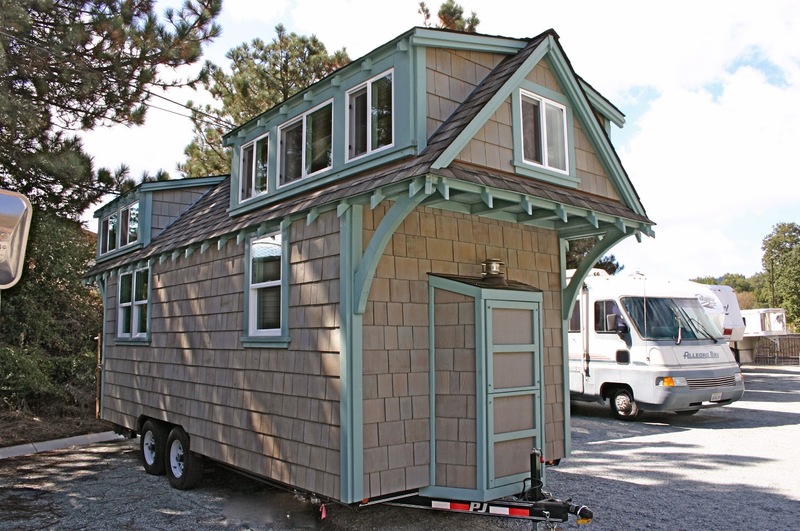 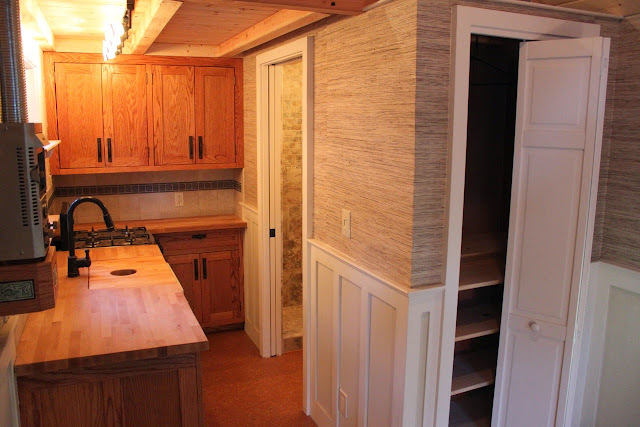 From Molecule Tiny Homes LLC- a tiny house builder based in Santa Cruz, California- is this cozy two-bedroom home on wheels. 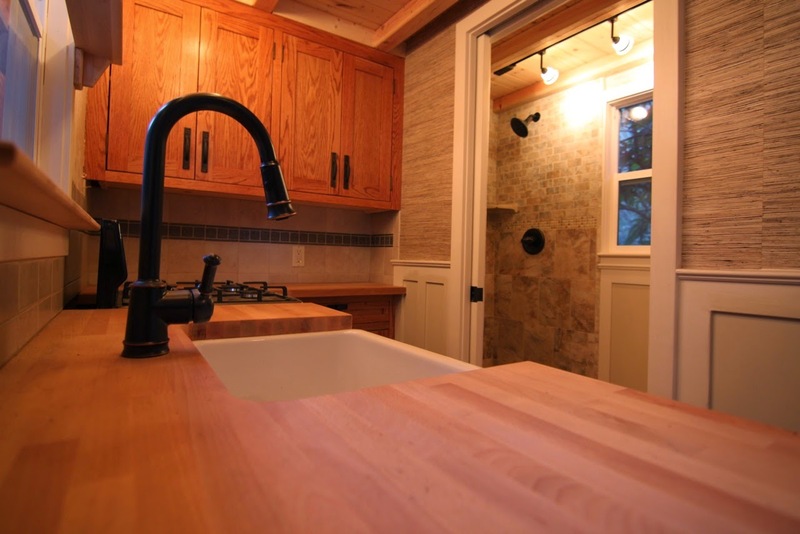 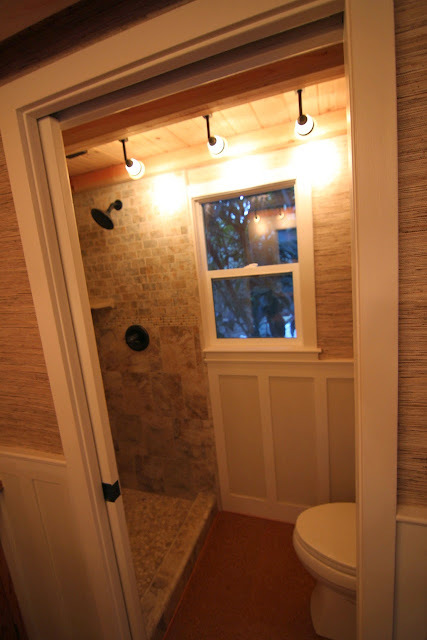 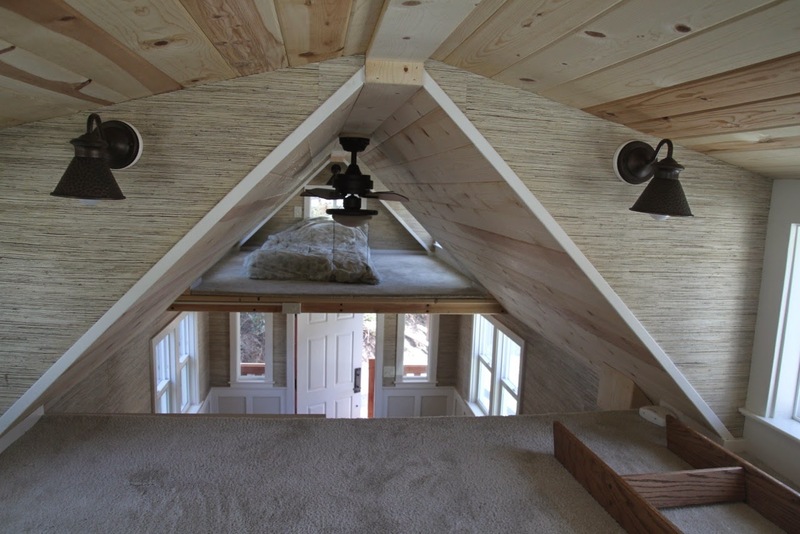 The home features a full kitchen, bathroom, two loft bedrooms, and a living room area. 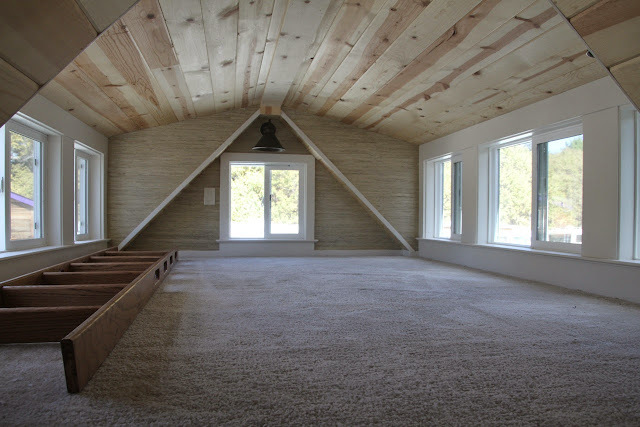 There's cork flooring on the main floor and carpeting in the lofts. The kitchen comes equipped with stainless steel appliances, a four-burner range and oven, custom cabinets, a tile backsplash, butcher block countertops, and a garbage disposal. 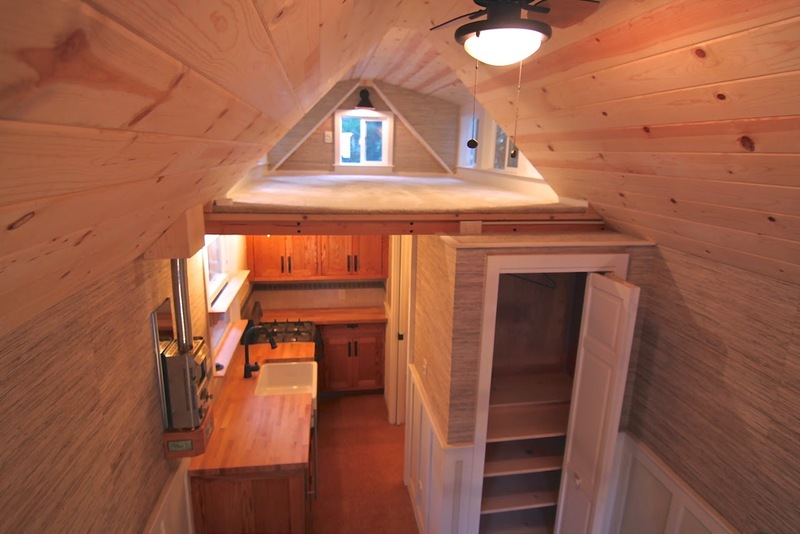 There's also gas heat and a full closet! 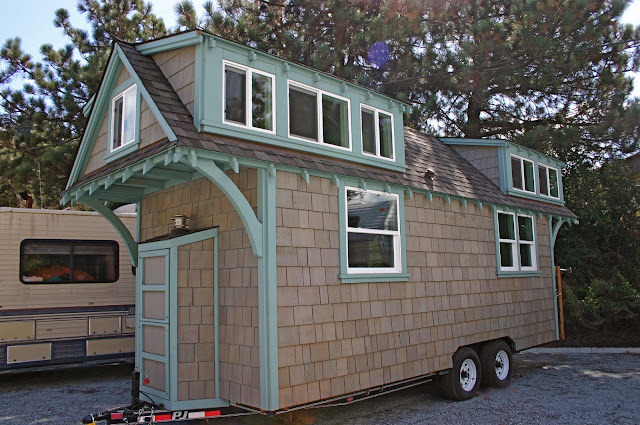 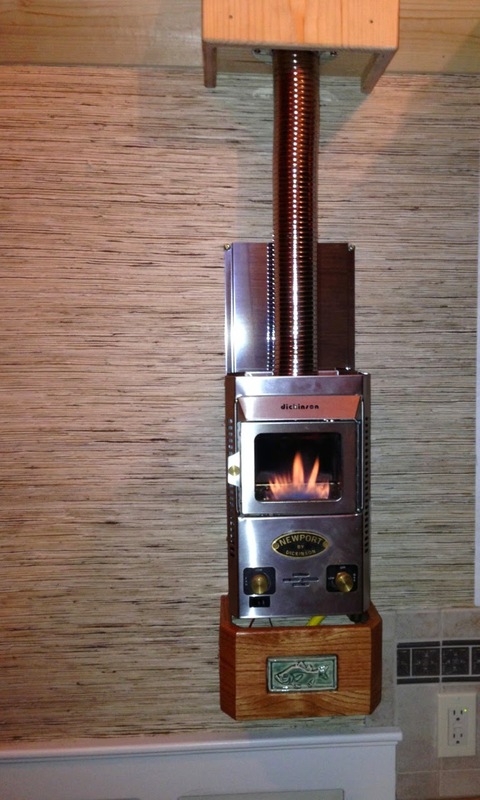 The home measures 8'6" x 20' and retails for $75,000.